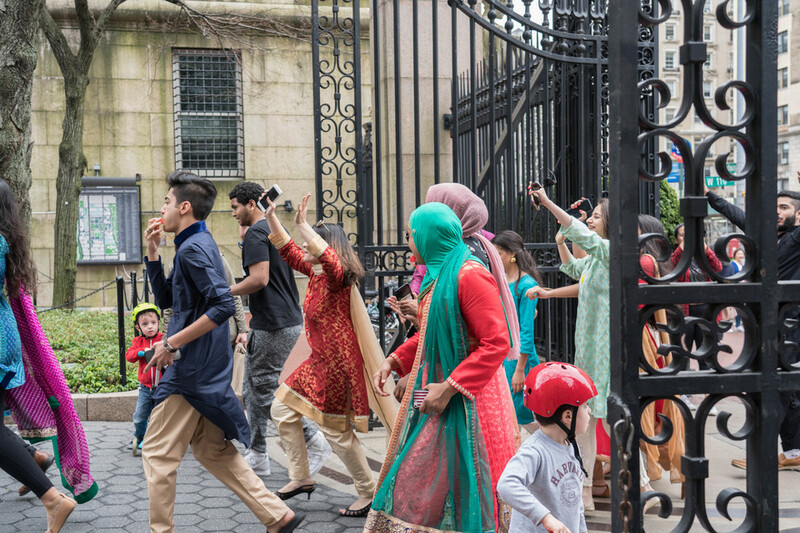 Columbia’s Organization of Pakistani Students greeted NYU’s Pakistani Students Association at the 116 gates prior to the wedding. 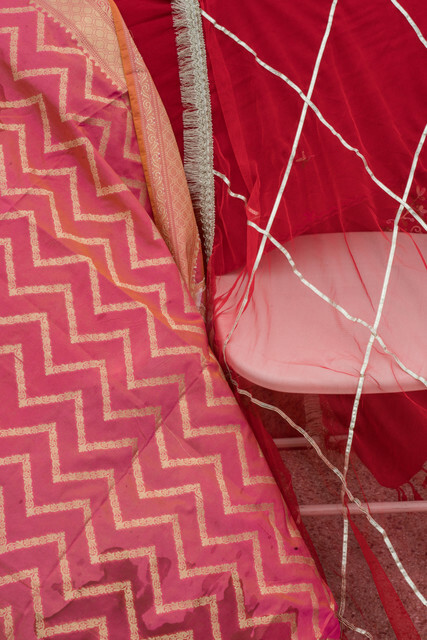 A close-up of the chair sat on by a Hungama bride. 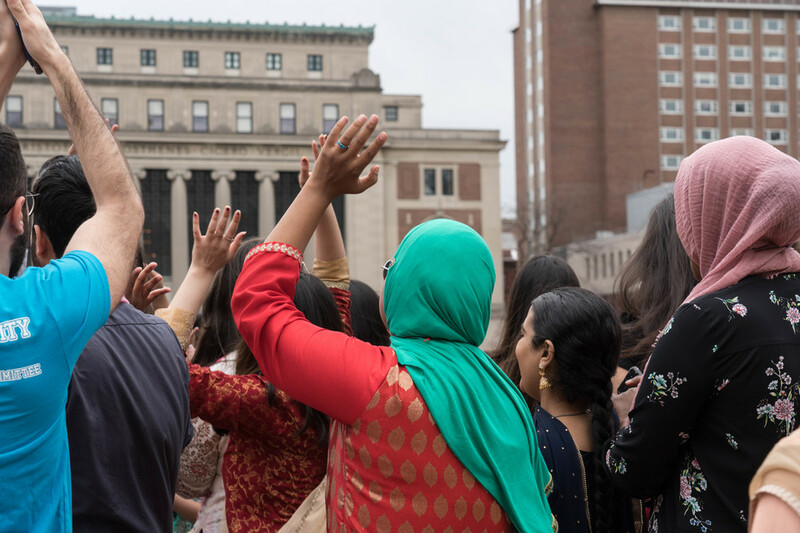 Safia Lakhani, BC ’19, one of the three Hungama brides, walks down Low Steps before the ceremony. 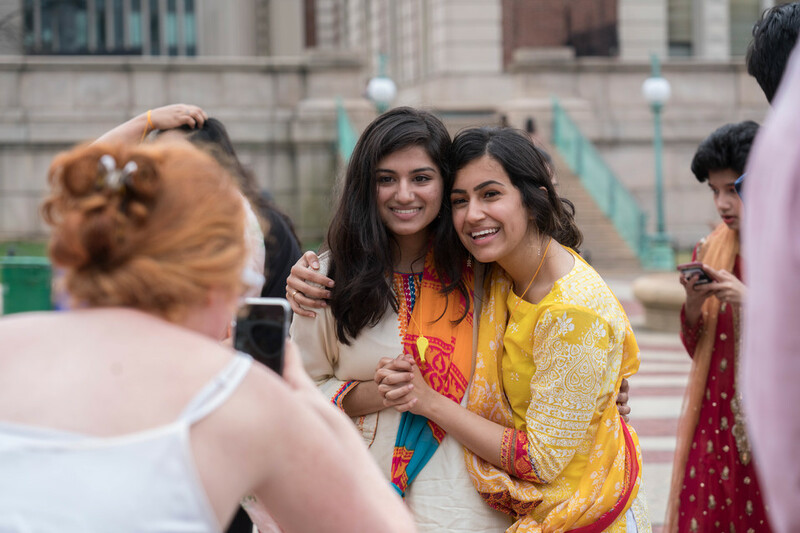 Brides Subah Imami, and Priya Mishra, CC ’19, exchange a laugh before the ceremony begins. 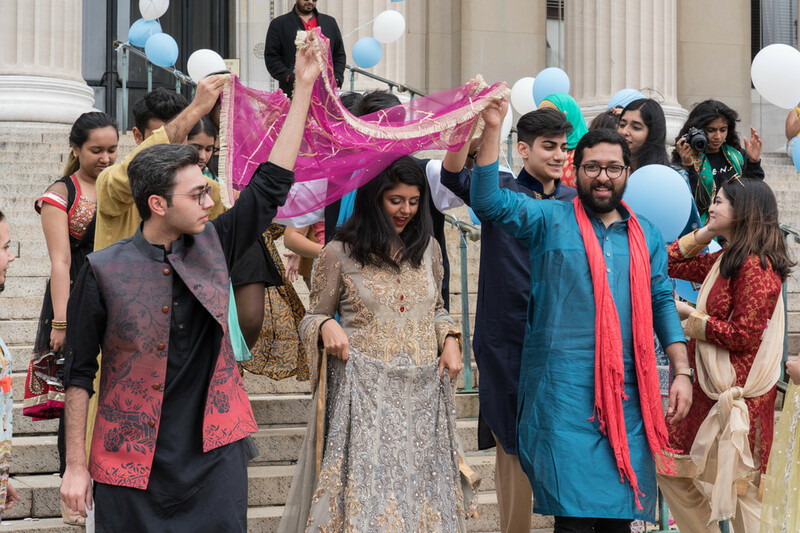 This is the first year Hungama has both straight and queer couples. 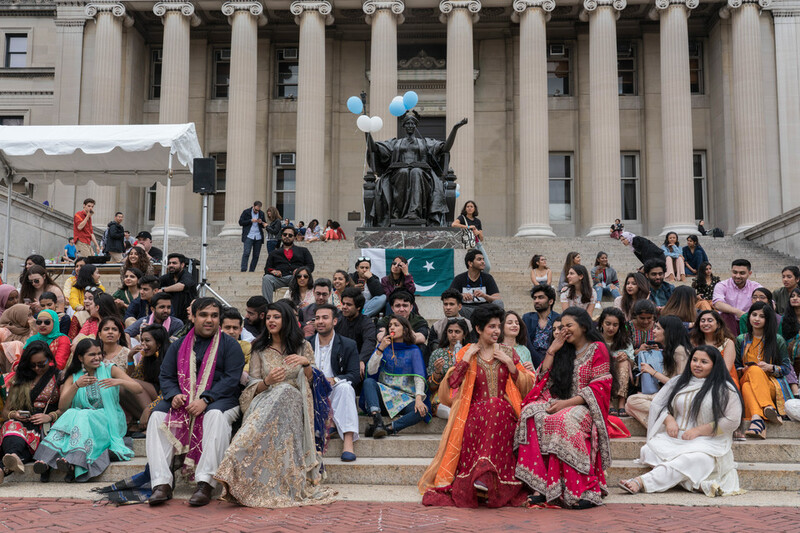 The couples sat together and watched the performances throughout the day. 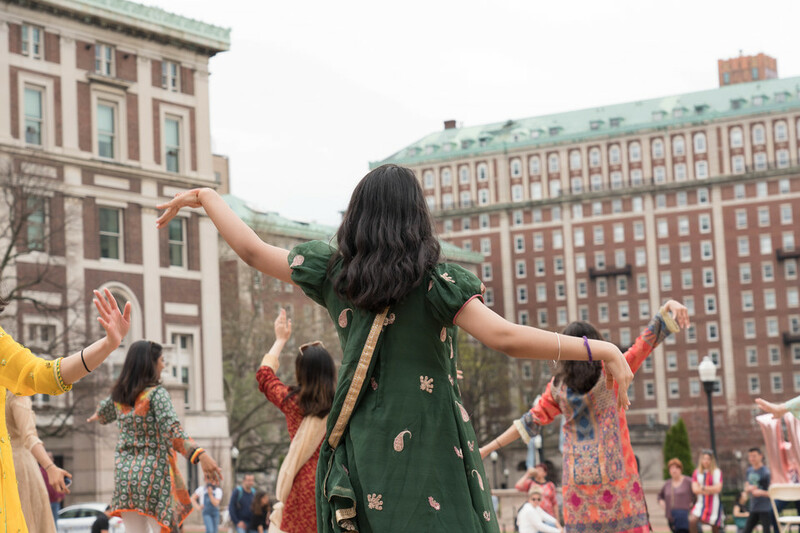 Columbia Raas, a Garba- and Raas-influenced South Asian dance team, was one of the groups to perform at the wedding. 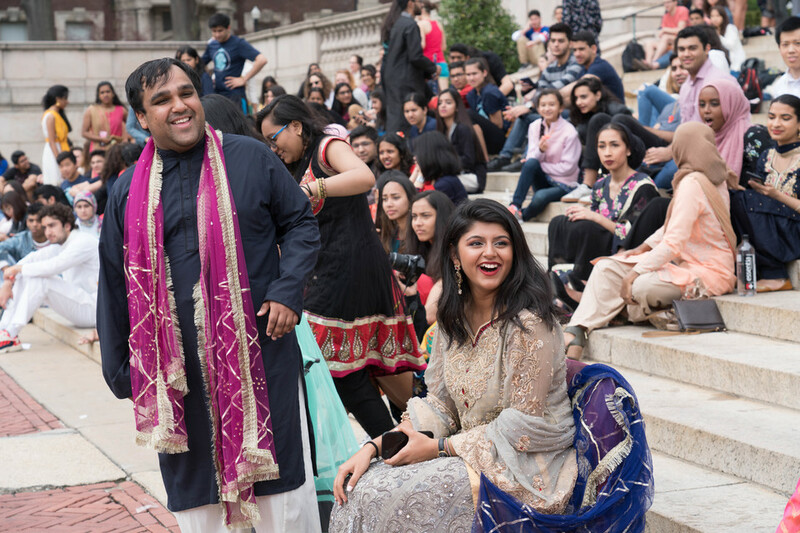 Safia Lakhani waits for the next performance with Omer Malik, the NYU groom. 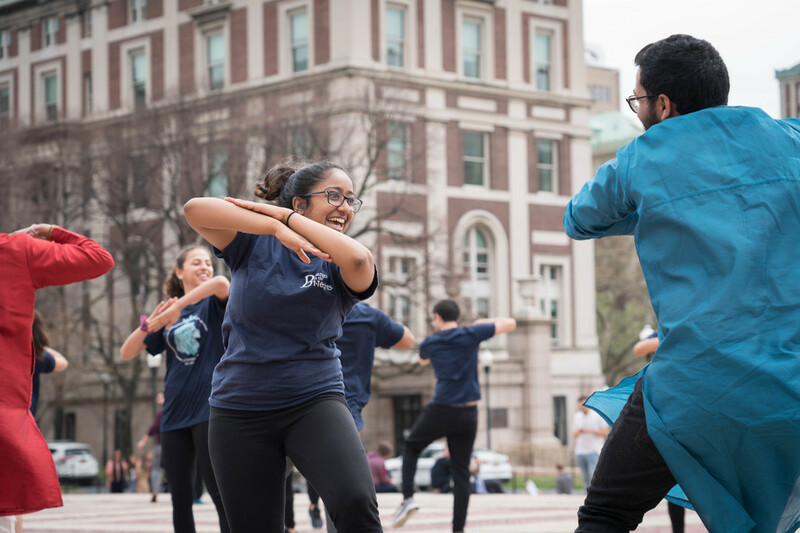 Columbia Dhoom, a Bollywood fusion dance team, performs at the ceremony. 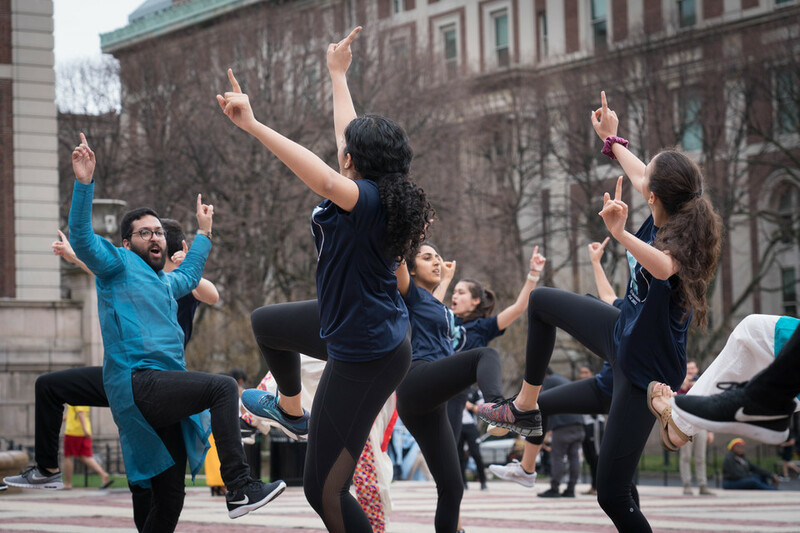 CU Bhangra, a high-energy dance group that fuses traditional Punjabi dance with contemporary choreography, put on a routine on Low steps. 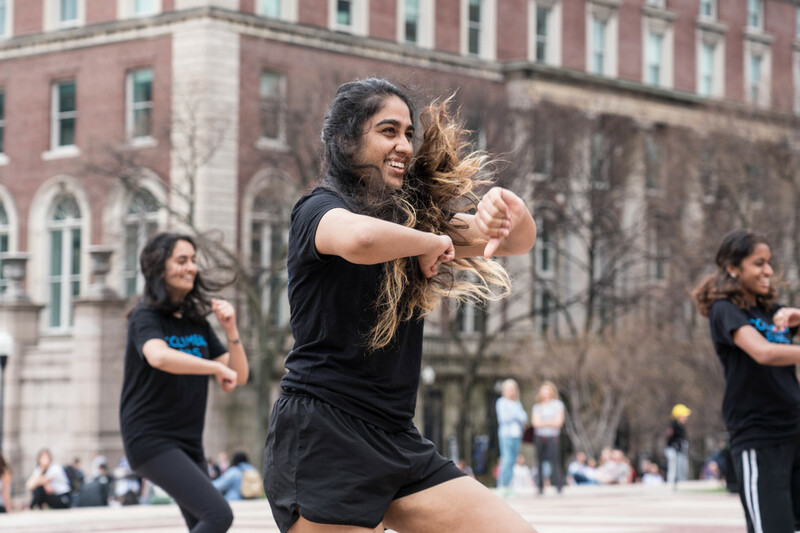 Attendees take part in an impromptu dance competition. 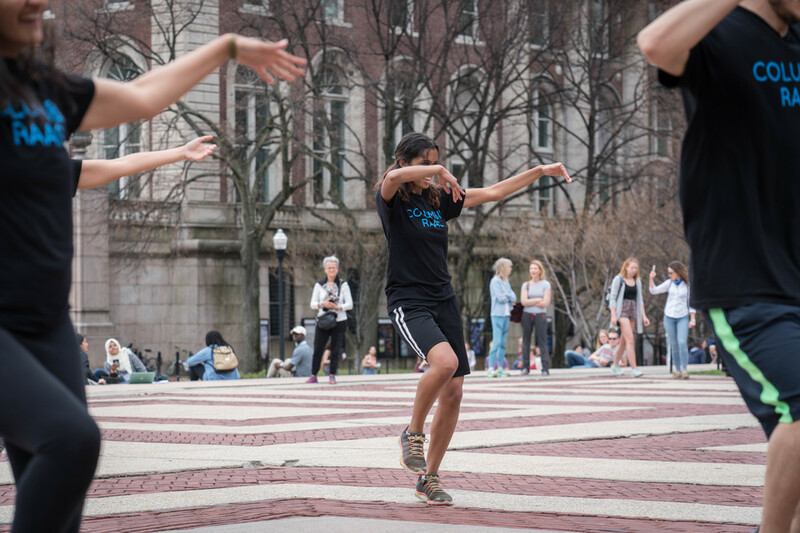 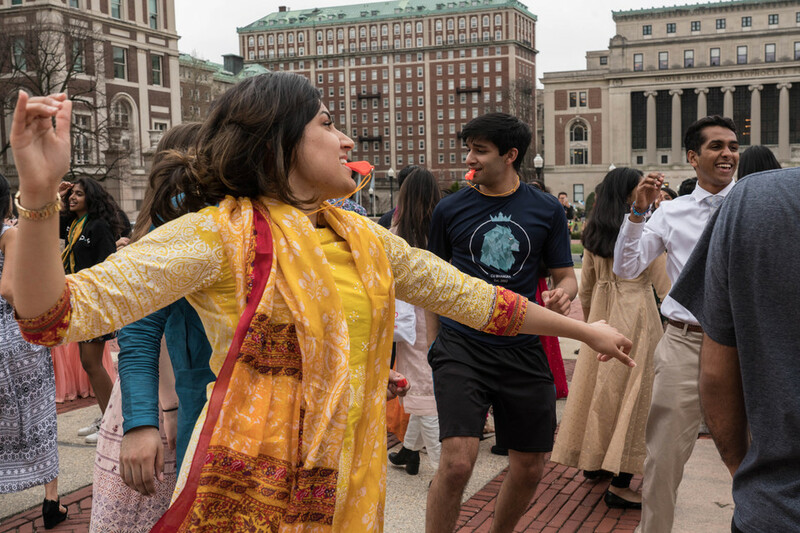 Members of Columbia’s Organization of Pakistani Students, the co-organizers of the event, show off their own choreography. 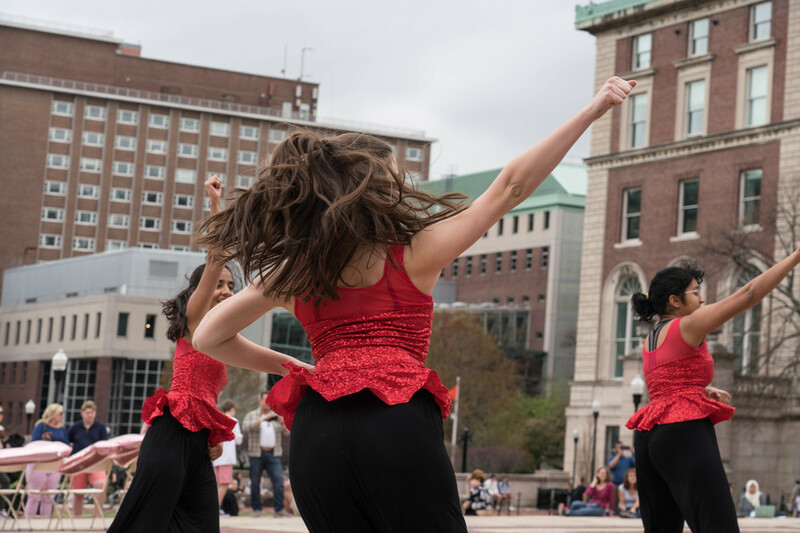 Following the dance performances, attendees crowd the Steps in celebration. 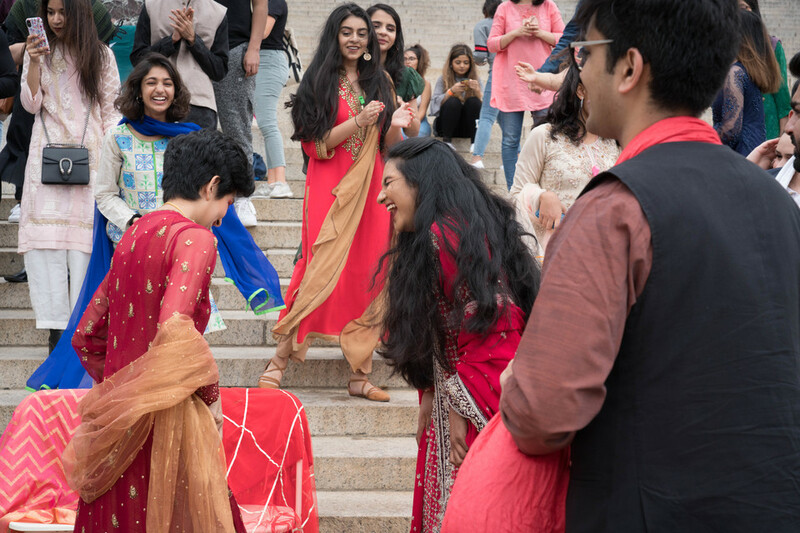 Friends smile for a picture on Low Plaza during the event. 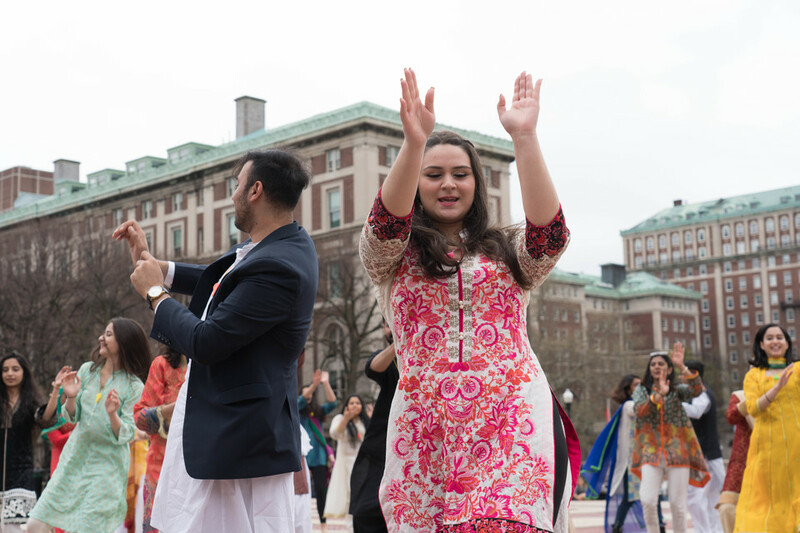 Dancing continued after the ceremony, concluding the afternoon with widespread celebration.